39 Reasons for and against Cesar Chavez Blvd. 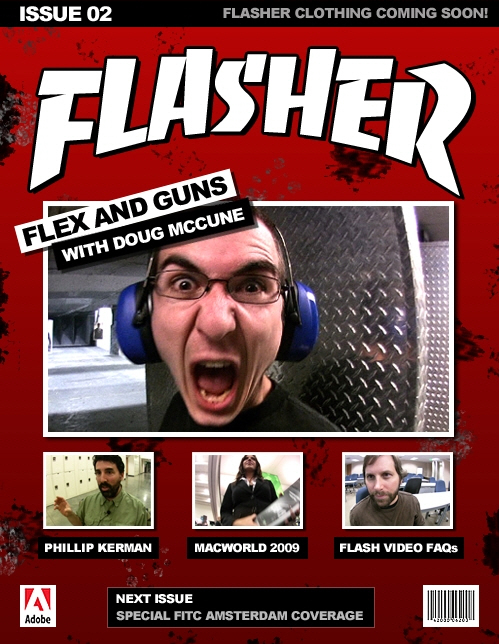 I’m honored that Lee Brimelow included an interview of me in his latest issue of Flasher Magazine. He’s only up to issue 2, but I think he’s really got something good there. Check it out. I start at 15:30 but the other features are worth watching. #1 eat until I’m satisfied, not full. That didn’t work so well, but when I modified it to “don’t eat after 8pm” I did better. In fact, for the last few months I’ve avoided the late night snacks quite well. #2 avoid annoying blogs… A+ I might have peaked just once or twice but I did pretty well. #3 sit up straight–I don’t know if it’s this resolution or going to yoga, but this one is coming along quite well. I’ve caught myself sitting very straight several times. #4 April Fools didn’t go so well. #5 be a better blogger… well, I basically just posted my videos. Maybe I’ll compose something meaningful more often this year. #1 do a real stand-up performance. I sort of do that in class and at conferences but I want a presentation for the sake of comedy–nothing else. Seems like one of the hardest things in the world, so that’s a good challenge. #2 brush my teeth early in the evening to make the late night snacks even easier to resist. #3 go ice skating once a month, though this is really my kid’s resolution. I thought I had a few more, but I figured I had write this up before the year goes too far.